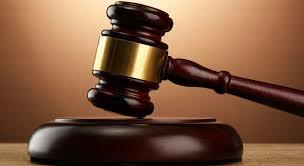 Former Zimbabwe National Students’ Union (Zinasu) secretary-general and aspiring Member of Parliament for Epworth Zivai Mhetu yesterday appeared in court on allegations of murdering his wife. Mhetu appeared before Harare magistrate Mrs Rumbidzayi Mugwagwa and was released on $100 bail. The State did not oppose bail after the investigating officer indicated that he was yet to obtain a full post-mortem. As part of his bail conditions, Mhetu was ordered to report to the police once a week, not to interfere with witnesses and to continue residing at 3587 Tynwald North, Harare, until the matter is finalised. Mrs Mugwagwa remanded him to February 23 for routine remand pending finalisation of investigations into the matter. Mhetu is being represented by Mr Arshiel Mugiya from Mugiya and Macharaga legal practitioners. Appearing for the State, Ms Linda Gadzikwa alleged that on February 7 this year, Mhetu, who had been having marital problems with his late wife, reportedly assaulted her on the face and thighs. The court heard that Mhetu went on to strangle his wife before taking her to a private medical facility in Belvedere, Harare, where she was treated. It is the State’s case that the now deceased was however, later referred to Parirenyatwa Hospital, where she was pronounced dead on arrival. A post-mortem done by Dr Matshalaga was not conclusive, and she sent specimens to a Government analyst for a toxicology examination. The results are still pending. According to the police, the relatives of Mhetu’s wife indicated that the couple had marital disputes and suspected foul play. The deceased’s relatives then requested for a second post-mortem, which was conducted. They alleged that she had bruises on the neck, thighs and face. The police submitted that results of the second post-mortem are not documented.